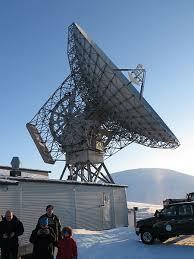 One of the EISCAT radars. I studied at the University of Wales, Aberystwyth and UNIS in Longyearbyen, Svalbard (home of the EISCAT radars, and a great many polar bears). I graduated with an MPhys (Hons) Masters Degree in Physics with Planetary & Space Physics (2:1) in 2004. For the last nine years I have been teaching physics in secondary schools. Prior to this, I worked with Aberystwyth's Infinity Exhibition science shows, teaching from a StarLab mobile planetarium in schools, working in secondary school science clubs, teaching a short course IT programme in an FE college, and teaching the Pre-Master's IT course for EAL students at the University of Wales, Aberystwyth for the Life Long Learning department. I also used to work in IT systems, network management and software development. I am very interested in electronics, computer programming, and engineering and crafts. I started to explore programming in the late 1980s, and since then I have gained experience in a variety of programming languages (including C and C++, Basic, Visual Basic, ForTran, and Pascal), and also HTML web development, scripting languages, and SQL database programming and network protocols including FTP and TCP/IP. I enjoy making demonstration equipment and experimental apparatus, developing electronic resources for teaching and learning, and electronics work involving audio components and/or computer interfacing. 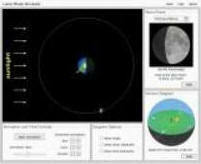 My current focuses are developing web-based resources with embedded simulations and videos, producing computer models of physical phenomena, designing discovery based learning activities, and producing support materials to scaffold learning activities. I live in Devon (UK) with my lovely partner, and I currently teach at Ivybridge Community College. I like mountain biking, snowboarding, surfing, comedy, music, art and culture, theatre, literature, languages, chaos, order, whimsy, reading, eating, dancing, laughing, and lots of other things. 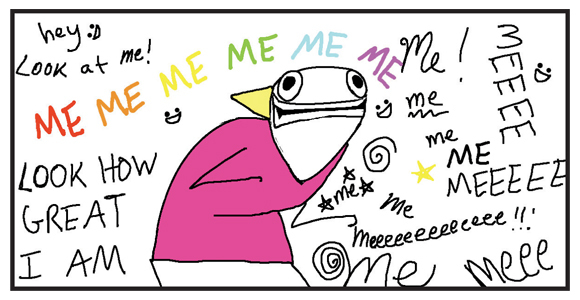 Image credit: Allie Brosh, Hyperbole and a Half. *This quote is also courtesy of Allie Brosh. She's funnier than me.